Surface Polishing Services for Cast, Molded, Machined and Fabricated Components. ISO Finishing is an isotropic surface specialist providing mass finishing services and equipment sales. Experienced in surface preparation services for cast, molded, machined and fabricated components. ISO Finishing specializes in high energy polishing, vibratory finishing, and micro-precision surface improvement. 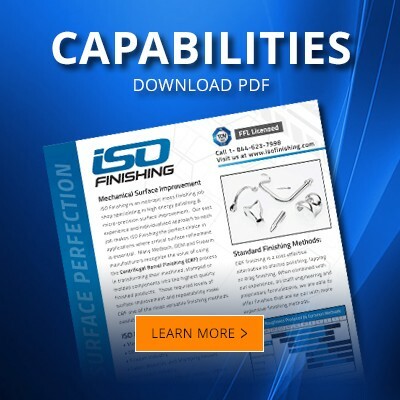 Through our innovative finishing solutions and industry leading delivery times, ISO Finishing has become the go-to finishing resource for Fortune 500 manufacturers to small business owners alike. ISO Finishing is known for quality metal finishing expertise on titanium, aluminum, stainless steel, carbon steel, brass and copper. We also have the proven ability to offer customized finishes on plastic, rubber, silicone, and ceramic parts. ISO Finishing is committed to provide unsurpassed customer satisfaction by maintaining the highest quality finishing solutions. We are experts in developing customized finishing programs for all your parts or components. 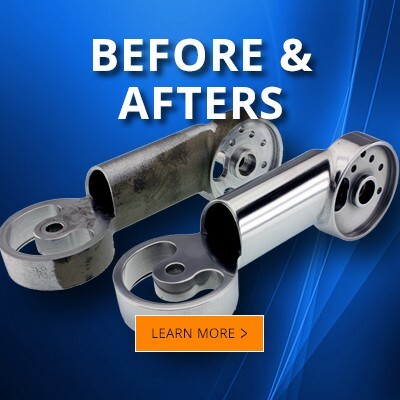 From simple deburring to high-end titanium finishing, our combination of specialized tumbling media and centrifugal polishing expertise fill the finishing gaps in your overall part production process. Call our finishing experts today at 1-844-623-7998.
of thin film coating services! In the manufacturing industry, the removal of burrs, rough edges or protrusions on the material after a part is produced can significantly impact performance. ISO Finishing can remove burrs or imperfections through deburring, descaling, barrel blasting, support removal, or texturizing. When it comes to machined parts, smoother is better for reducing heat, friction and corrosion. Polishing affects adherence, continuity, general durability, and appearance of a part. ISO Finishing understand the importance of pre-plate finishing and provides polishing and burnishing to create a reflective surface. 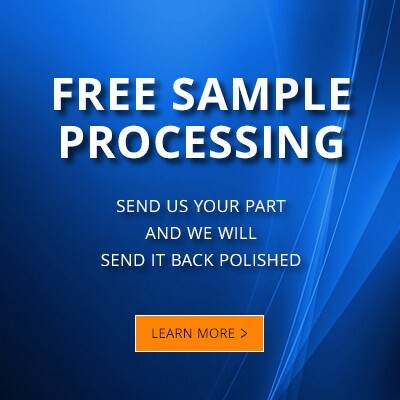 Ultrasonic cleaning uses high frequency sound waves to remove contaminants from parts. Our passivation services can remove free iron and other ferrous elements from the surface of stainless-steel components for improved wear resistance, corrosion, and adhesion for final coatings. We can create the ultimate finish through our coating partners to provide a seamless delivery of your finished products. Once a manufactured component has gone through the surface improvement process, surface coatings such as anodizing, plating, powder coating, and thin film coatings may be added for performance or cosmetic effects.